One of my strongest and fondest memories of childhood were Saturday nights during the autumn and winter, when I would play hockey against myself (!) in our basement at home while my family would watch Hockey Night in Canada. I would sometimes take a look at the game, particularly when (all too infrequently in those days) the match-up featured my favourite team, the Edmonton Oilers. However, mostly I would be lost in my own world of childhood play, making spectacular shots and unbelievable saves while acting as a player, goalie, referee, PA announcer, and play-by-play broadcaster…simultaneously! And, while sometimes I would pretend I was Gretzky, or Fuhr, or John Vanbiesbrouck, mostly I would pretend that it was actually me in net or scoring the goal, with some CBC commentator amazed at the play he just witnessed. Saturday nights were special. I can’t say that they were formalized or “appointment viewing” or anything like that, more that it was just what we did as a Canadian family – watch Hockey Night and, in my case, pretend that I was part of it. I got to thinking about those memories this past weekend when my son, who turns three in a couple of months, and I retreated to my basement at our home here in South Carolina to race his miniature monster trucks and watch (in his words) “snow hockey.” I have the NHL Game Center app, so we were able to watch any one of 15 (!) games that were available on Saturday night. We sort of had a game on in the background (I decided on the Ottawa Senators v. Tampa Bay Lightning match-up) as we raced his monster trucks back and forth on the faux-hardwood floor. Sometimes (in keeping with the “snow hockey”) my son would use a small Carolina Hurricanes stick I got him last spring to push his monster trucks around the basement, and sometimes he would be lost in his own play, creating conversations between his monster trucks while I kept one eye on him and the other on the game. We had a blast and, of course, for me was particularly special as I saw a bit of my childhood in him as he played pretend with his toys. Of course, our Saturday night “snow hockey/monster truck” spectacular wouldn’t have been the same without a high speed internet connection and a choice of of live streaming games available at my fingertips. Certainly, if I were living in South Carolina even a decade ago, my son and I would have had whichever over-the-air college football game was available in the background, rather than bypassing the local feed altogether and creating our own slice of my Canadian childhood in the rural South. 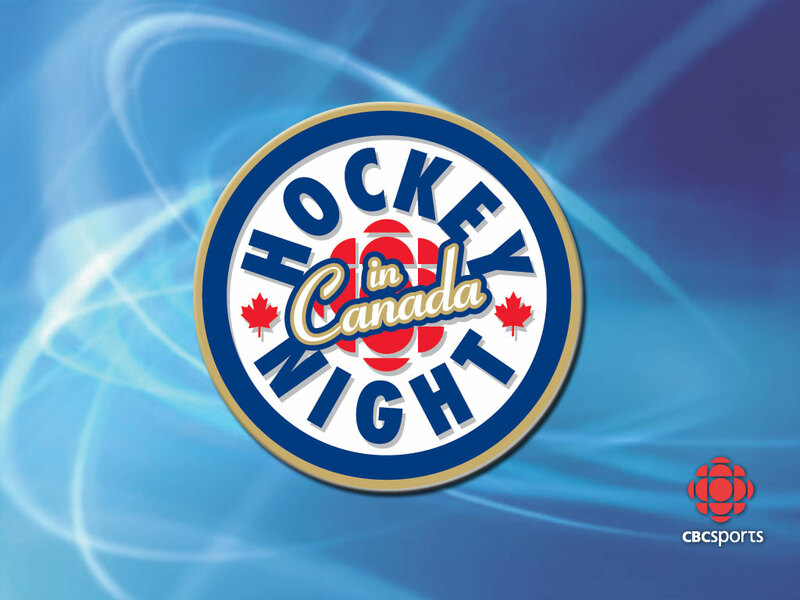 That said, the fact that the feed we were watching wasn’t Hockey Night in Canada – and that, for the most part, the tradition of Hockey Night in Canada is all but dead – did strike me. I suppose my childhood Saturday nights were special because an over-the-air national broadcast of a hockey game was still pretty special, and not a routine part of daily viewing. I guess that’s the curse of on-demand viewing – and while I don’t want this to be a “better in my day” rant, as there are clearly advantages for people like me in non-traditional markets – there is something sad about what’s might be lost through over saturation. On the other hand, I also think that something like hockey, particularly in a country like Canada, ought to be part of the “cultural programming” of a national broadcaster like CBC. What I fear happens to hockey in Canada is what happened to cricket in England, where a private broadcaster bought the rights and that the sport all but disappears from the public airwaves. Cricket has yet to recover and has, perhaps, lost a generation of supporters. I hope hockey doesn’t go the same way when Hockey Night permanently leaves the CBC. By Gregory Ramshaw in Uncategorized on October 13, 2014 .